2015 TOYOTA TACOMA Printer Friendly Flyer. 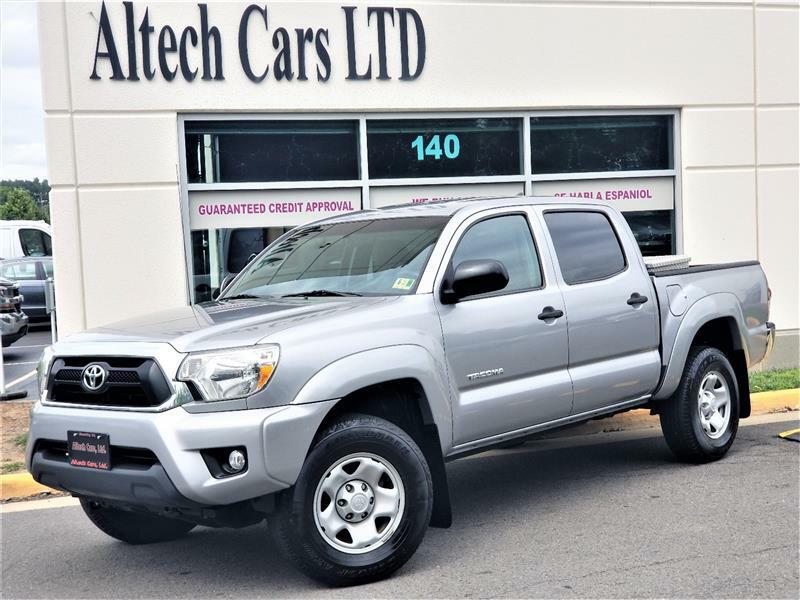 Standard Features on The Tacoma is 15-inch steel wheels, a limited-slip rear differential, power locks, mirrors and windows, air-conditioning, a composite bedliner, a bed utility rail system, cloth upholstery, adjustable driver lumbar, a 60/40-split rear bench seat with adjustable headrests and rear bulkhead storage, fold-up rear seats with underseat storage, a tilt-and-telescoping steering wheel, Bluetooth phone and audio connectivity, a 6.1-inch Entune touchscreen display and an audio system with a CD player, iPod/USB connectivity and an auxiliary audio jack. The SR5 package adds chrome grille and rear bumper trim, color-keyed front bumper and fenders, foglights, adjustable driver lumbar support (already standard on Double Cab), unique seat fabric, variable intermittent wipers, metallic-look instrument panel trim, a leather-wrapped steering wheel and (automatic-only) shift knob, dual sun visors with mirrors and extenders and a rearview camera. Tacoma V6 Class VI Tow Package adds Class IV-Towing Receiver Hitch, Transmission Oil Cooler, Engine Oil Cooler, 130A Alternator, Heavy Duty Battery, 7-pin Connector w/Converter, and Trailer Sway Control.